Can You Get Divorced in an Arizona Covenant Marriage? Getting divorced in Arizona is fairly simple. There’s no need to prove someone’s fault for the end of the relationship. Still, one situation exists in which things are a bit more complicated. This situation involves covenant marriages. Covenant marriages are described in A.R.S. 25-901 to 25-906. The covenant marriage provides an additional option to couples that want to get legally married. In order to get a covenant marriage, a couple will first have to pass through counselling. Counselling can be provided by either a marriage counselor or a member of the clergy. Next, both of the individuals who wish to get married will have to sign a specialized statement, suggesting that they want to get a covenant marriage. Once this application is signed, a divorce can be granted only in a set of specific circumstances. The traditional no-fault divorce rules that are valid in Arizona will no longer apply. People who already have a “standard” marriage can decide to convert it into a covenant marriage later on. In such situations, pre-marital counselling is no longer required and the couple will simply have to get the required documentation in order. When a marriage is converted to become covenant, the new divorce rules become effective immediately. The covenant marriage is a serious commitment and as such, it does not allow the freedom to get a divorce for a frivolous reason. There’s a legally defined set of circumstances in which a covenant marriage can be ended legally. In order to get a divorce, the filing spouse will have to go through a series of steps. 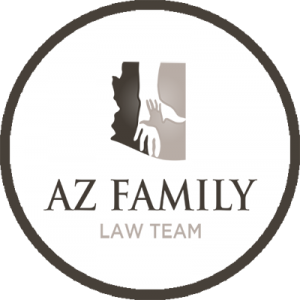 Assistance from an experienced Arizona family law attorney will be required in such instances to ensure a quick and effective legal process. First, it may be a good idea to make a good faith effort to save the marriage. Covenant marriages are intended to last a lifetime, which is why both of you have to do everything possible to resolve issues. Even if you put your effort into improving the situation, however, you may face indifference on behalf of your spouse. In such instances, you will be the one who will have to petition the court and end the covenant marriage. In a covenant marriage, issues that are examined in a regular divorce will also have to be addressed. These include the separation of property and income, alimony payments, child custody, child support and the legal decision making statuses of the two former spouses. These issues can be very complex to address. Don’t attempt to negotiate without being represented by an Arizona divorce lawyer. If you do, you may end up getting a lot less than what you’re entitled to in the aftermath of the covenant marriage dissolution. 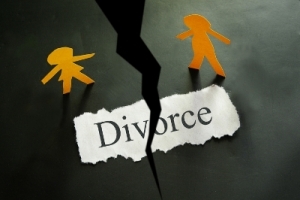 Click here for information on what is a grey divorce in Arizona.